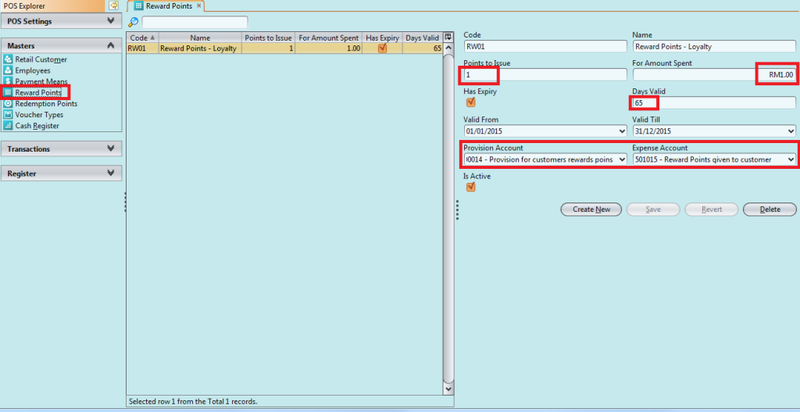 How to define Reward Points in the POS? Nota : Before reward points can be redeem, the Setup rules for reward points’ redemption has to be established. Select the POS tab/Masters/Reward Points, you can define the rule for rewarding points. 1 US$ of purchase = 1 Loyalty point. The points are valid for one year and this rule is valid up to 31st Dec 2015.